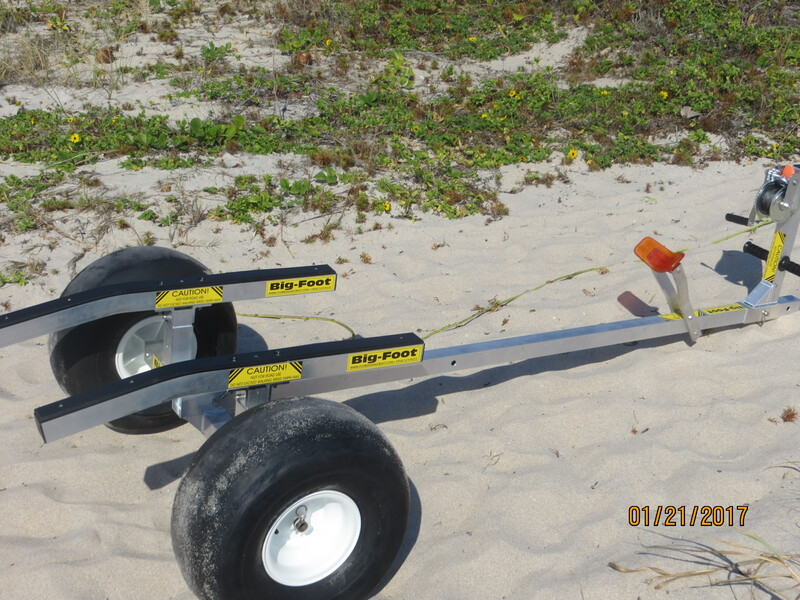 Tiger Tote beach dolly for any stand up and smaller runabout PWC. 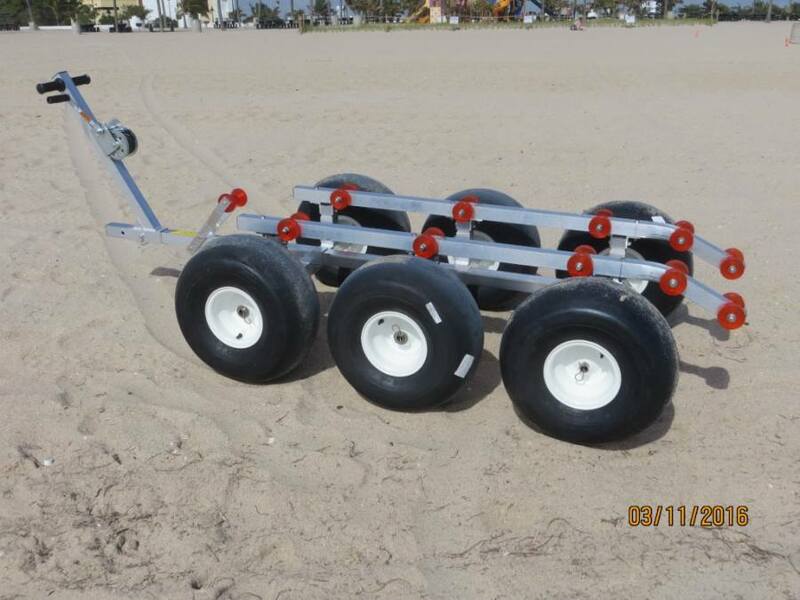 Exclusive roller rail upgrade available. 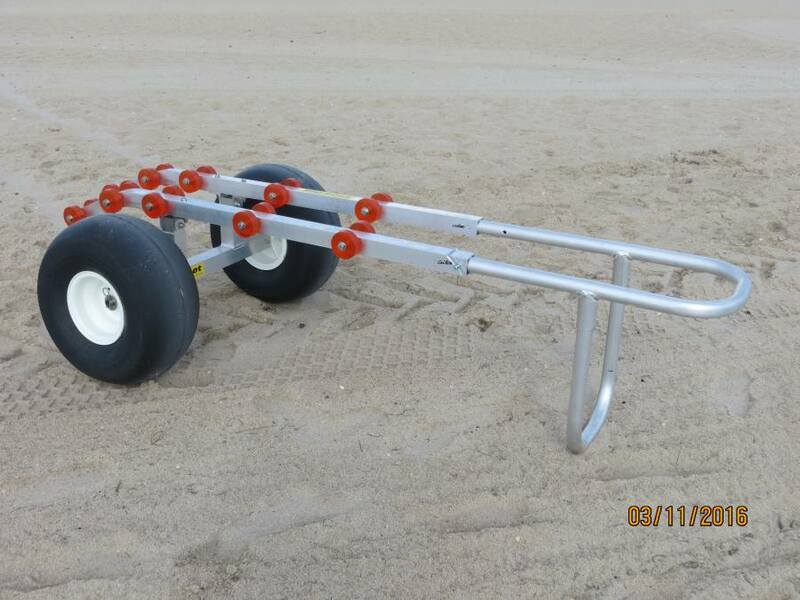 Float your stand up or small runabout PWC onto the Tiger Tote Jet Ski dolly and move it to your trailer or storage area. These totes are great for calm water situations or if you have a dock or sea wall with a lift. We call these float on dollies as the tote must be in the water in order to let the PWC slide onto the support rails. The tote is trailer height for easy transfer and doubles as a shop work stand. The grab handle is adjustable and the Tote comes apart easily for transport or storage. Constructed of aircraft grade aluminum with stainless hardware. A solid 1” aluminum axle runs through the frame for strength. The standard model fits older runabouts with 550 lbs. max capacity. There is a stand-up model available as well, the same as our standard only with narrower support rails at no extra charge. Make sure to specify when ordering. 21″ balloon tire is standard. Dimensions are 7’ long, 44” wide to the outside of the tires, and 22” from the ground to the top of the support rails. Weight is 62 lbs. 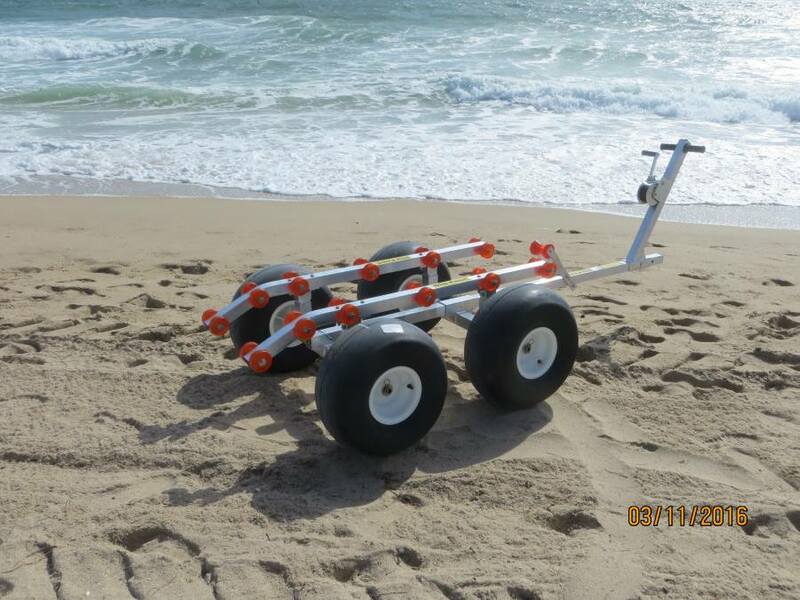 Now available with our new roller rail upgrade. This system makes it easier to load and unload your Jet Ski than ever. 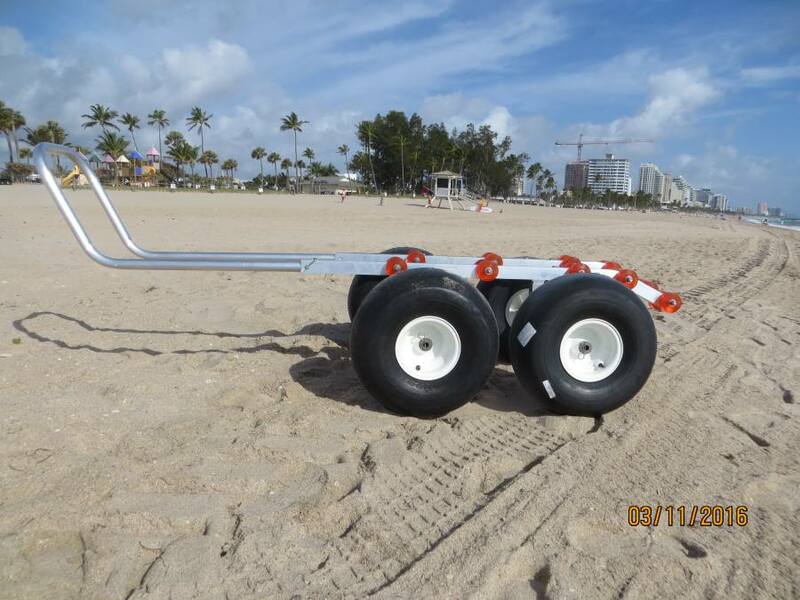 Angled aluminium tubing and 3″ polyurethane rollers with stainless hardware. Rollers will not mark or scar your hull. Lightweight and will not corrode. If you are single handing your stand up ski this will make your life good at the end of the day. There is no better dolly for a stand up ski on the market. The roller rails are also available as a drop in replacement for any existing Tiger Tote in the field. If the optional ratchet style winch is added then it gets even better.